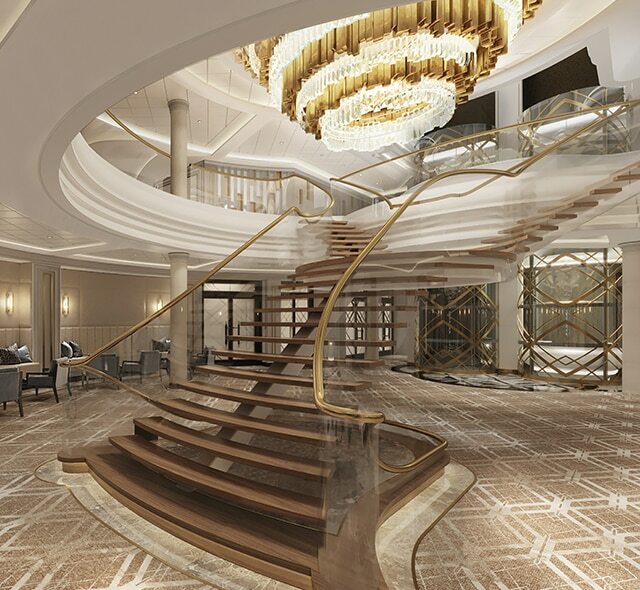 Everything on board Seven Seas Splendor is designed to provide a sophisticated yet comfortable retreat for our guests. In your exceptional suite, experience an elevated-level of luxury, surrounded by every comfort imaginable. At Coffee Connection, enjoy your cappuccino while taking in grand ocean views in our new alfresco area. Wherever you turn, you will be enveloped in elegant décor and soaring ceilings topped by sparkling chandeliers. Catering to the varied vacation needs for sophisticated world travelers, Seven Seas Splendor™ exudes excellence, comfort, and grace – the perfect way to arrive at the places you’ve always dreamed of exploring. Amalfi has long been a resort. Visit her hotels set in beautiful monasteries and villas. Stroll through the archway from the little square beyond the harbor to the Piazza del Duomo. Before you, rises a grand flight of stairs that leads you to one of the most exquisite cathedrals in southern Italy. Sitting under the shoulder of smoldering Mt. Etna, Catania is your base for an ascent to the very top of Europe’s largest volcano. Close by is Taormina, where you’ll take in fantastic views of the Bay of Catania. Located in northeast Greece on the coast. An island off southeast Greece in the northern Dodecanese Islands at the entrance to the Gulf of Kos, an inlet of the Aegean Sea off the west coast of Turkey. Hippocrates founded a medical school on the island in the 5th century. Kos became part of modern Greece in 1947. Cut length wise by the Turkish/Greek border, the island of Cyprus leads two lives. The Turkish side is traditional and Islamic, while the Greek side is a very modern vacation destination. Limassol is Greek Cyprus’s largest city. In the 12th century, it was headquarters for invading crusaders. Nearby Kourion contains an ancient Greek city with a sanctuary of Apollo overlooking the sea. Come back to Sorrento and “O sole mio” are probably two of the most famous songs in the world. Amidst the colour and noise of all the small towns fringing the Bay of Naples, Sorrento is a haven of peace and quiet with its orange groves and in its associations with history and art. This small town is built on a cliff top that plummets down into the limpid blue sea and looks across to Capri. Torquato Tasso was born here, and the Tarantella is danced here as nowhere else. The Correale Museum is well worth a visit: it is beautifully situated and has a rich collection of furniture, paintings and porcelains. It’s only natural that the seasoned traveler should make Taormina their favorite retreat. With a backdrop of snow-capped Mt. Etna, it is Sicily’s most beautiful city. Listen to echoes of the immortals in Taormina’s acoustically perfect Greek theatre. Volos is a modern port, 110 miles northwest of Athens. See the museums and countryside. Mt. Pilion forest is not far off. All fares are per person in U.S. dollars, valid for residents of United States and Canada, based on double occupancy, for new bookings only and may be withdrawn at any time. Any advertised fares that include the “Free Roundtrip Air” promotion include all airline fees, surcharges and government taxes. Airline-imposed personal charges such as baggage fees may apply. For details, visit exploreflightfees.com.